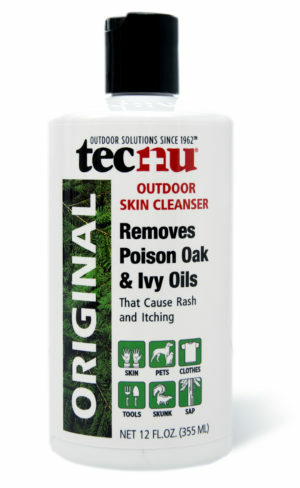 Zanfel Poison Ivy, Oak & Sumac Wash is the only product clinically shown to remove urushiol, the toxin found in poison ivy, oak, and sumac from the skin ANYTIME after outbreak of the rash. 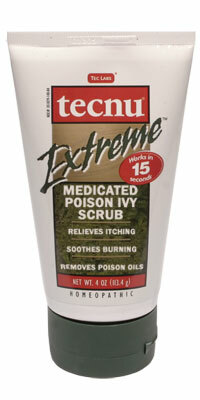 Zanfel also relieves itching in 30 seconds. 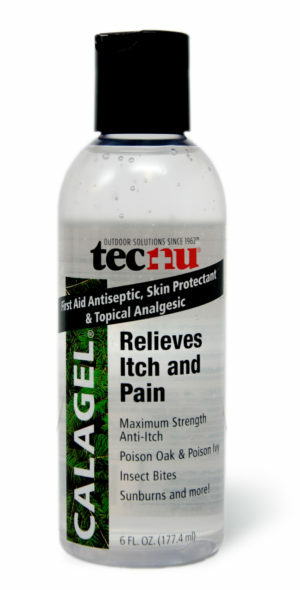 With a small amount of water, Zanfel removes urushiol during a 3-minute skin wash. Once the urushiol has been removed, the body is in a position to immediately heal the rash. 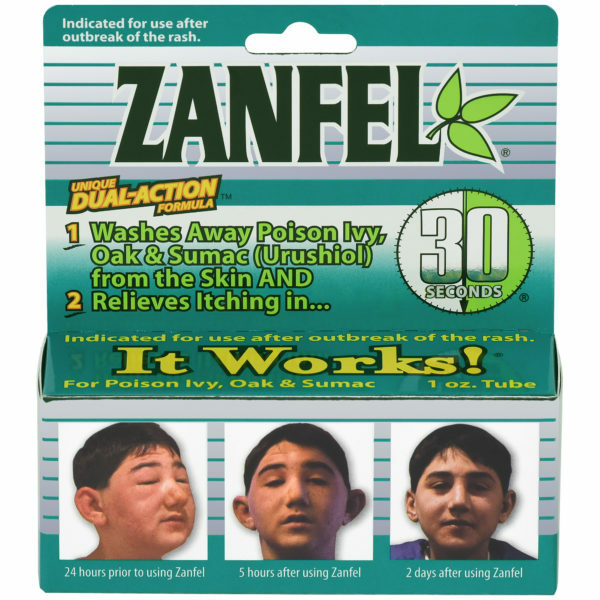 Zanfel is a safer, more effective option that the steroids or antihistamines that are commonly used for poison ivy. Zanfel has no known side effects. 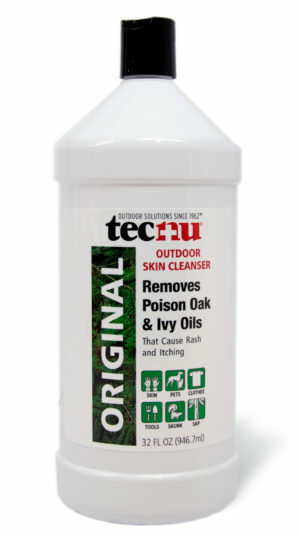 It is safe to use Zanfel on severe, draining poison ivy, oak, and sumac rashes. Zanfel can be used in conjunction with hydrocortisone. Zanfel is also extremely effective for itching and pain associated with mosquito & other insect bites, and bee, wasp & hornet stings.